I went to Christmas party which was an excellent opportunity to pop on my Heartbraker shoes. And as the theme of this fall-and winter- has been plaid I did not break it this time either! (In real life I actually have been wearing other clothing than checked_plaid only, even though it may seem hard to believe; they just did not make it here.) I put my bangs aside for the night with a couple of pins that my mother used to wear as a kid, they still keep hair in place very well. 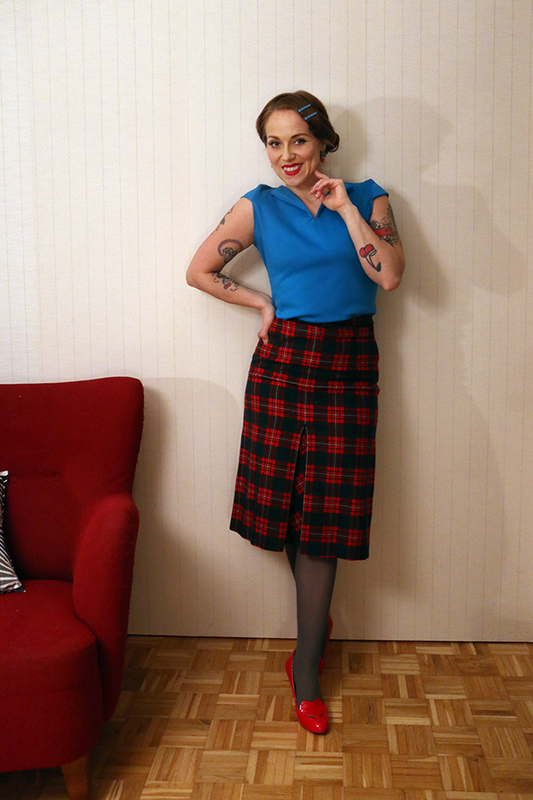 The skirt is vintage and the top is self made from last summer. The shoes are by Frollein von Sofa and come in many colours and materials.